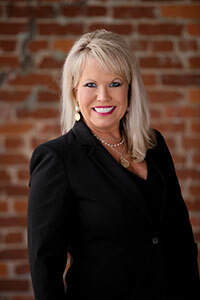 Susan is the Qualifying Broker for Southern Properties Agency, Inc., and an Alabama Real Estate Commissioner. Susan has been a real estate broker for 22 years. She has earned the Certified Negotiating Expert (CNE) designation, the Certified Residential Specialist (CRS) designation, the Graduate of the REALTOR Institute (GRI) designation, and she is a Certified Real Estate Instructor, offering Pre-license, Post-license, and Continuing Education courses. Susan has served two terms as President of the DeKalb County Association of REALTORS and once as Secretary. She has chaired several local committees, consistently serves on the Alabama Association of REALTORS Board of Directors and was selected as a member of the First 2002 Leadership AAR team. Susan is a member of the Fort Payne Chamber of Commerce, the Fort Payne Rotary Club, and the Tourist Association. Susan is a graduate of Auburn University, where she was a pilot on the War Eagle Flying Team and a member of the Aviation Fraternity. She is also an accomplished pianist and has performed with the Auburn University Theatre.